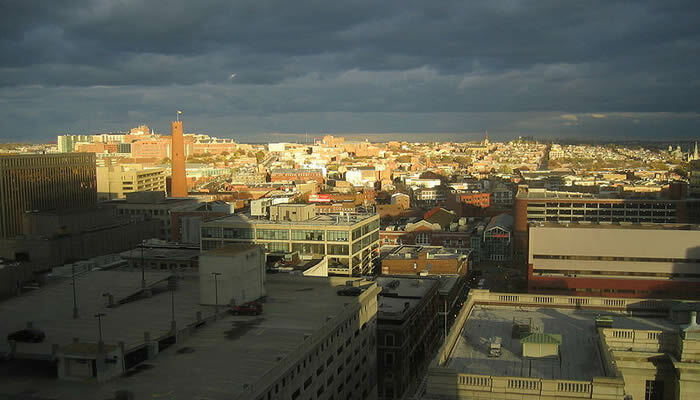 A view of Baltimore after a storm has passed. Image credit: Mark Peters. This will be our reply to violence: to make music more intensely, more beautifully, more devotedly than ever before. The BSO musicians decided that our best response to such dismal darkness would be for us to turn on our brightest light – to perform an impromptu concert, and to do so as soon as possible. It did not take long for us to reach the conclusion that the best way we could help was to do essentially what we do every week. Businesses are boarded up just a block from our home in Baltimore – and only several blocks from the city’s concert hall. But this week the BSO had had to cancel its children’s concerts as well as a program aimed specifically at technologically fixated Millennials – namely, a concert of the music of Pokémon. While children’s concerts have always been an important part of our 100-year history, the Pokémon program was a stretch. In wandering out of the usual territory of our huge, sophisticated repertoire, we were making an attempt to ameliorate our greatest fear and insecurity: that we and what we play are not relevant to people today. So in place of these canceled concerts, we decided simply to perform in the driveway of the hall in the middle of the day and to spread the word via social media, to which most of the city was understandably glued. The very next day at noon we assembled outside, surrounded by roughly a thousand eager listeners – some with strollers, some from day care centers with throngs of children, some neighbors and friends, some just passersby, many familiar faces and many new ones, too, all eager for a glimpse of something that could transcend the very tense situation we found ourselves in. As we played, we were enfolded by the gratitude of our audience; and afterwards they showered us with words of heartfelt thanks, some even assuring us that this impromptu concert was one of the most moving things they had ever been a part of. This kind of event is not unusual for orchestras. Throughout history, when entire societies have been at war, even at the very apex of conflict, people want to go to hear a concert of classical music. The Israel Philharmonic (IPO) has long been the healing salve for generations of emigrants from war torn Europe, a great consolation for those who lost their families in the countries they left and later lost even their own children during Israel’s wars at home. When Prime Minister Yitzhak Rabin was assassinated, the IPO immediately assembled a concert just days later in his name. For many people including his family, Beethoven’s Heroic 3rd Symphony and Egmont Overture were the proper way to remember one of the IPO’s greatest supporters. There is a famous recording of Wilhelm Furtwängler conducting Beethoven’s 9th Symphony in Berlin during the Second World War that includes the sound of bombs dropping on the city, eventually flattening a great civilization and killing its people. What on earth moved people to attend a concert in a large, domed building during a bombardment? Shostakovich saw his city’s premier of his 7th Symphony during the siege of Leningrad, surrounded by the German army, performed by musicians who were literally starving to death – some of whom did succumb to starvation between its rehearsal and performance. These are just a few examples. It seems that, in Western culture, with war and tragedy comes classical music – a most non-material yet profoundly meaningful response where words and physical circumstances fail. It would seem that transcendence is in fact one of our basic human needs, felt all the more when circumstances conspire to chain us to our miseries. It has long been observed that from history’s worst periods some of the best art sprang forth. Baltimore’s recent events remind us of war, both in their scope of destruction and in the long-term effects they will have on life inside poor neighborhoods. Our orchestra has long searched its soul – like others in Detroit, St Louis, Los Angeles, Chicago, and London – for a way to relate to these wars within our cities. If some people’s lives are so full of suffering, where are we in relation to that suffering? Do we just fiddle while Rome burns? What real thing can we offer our community if we accept our critics’ characterizations of classical music as merely “pretty sounds for rich people”? Hollywood, ever the counter-culturist, never tires of portraying immoral, upper class twits as being steeped in classical culture, set to the sound of Mozart’s string quartets. Indeed, our critics who advocate progress have demanded that, unless we can directly impact the pressing problems of material poverty and childhoods that result in an utter lack of preparedness for gainful employment, we are not only irrelevant to our communities but we are actually a standing mockery of material poverty itself. When we look at the long-term decline of the underclass and now the demise of the middle class, we see an abandonment of what worked so well for so long. There was a time when the hallmark of American achievement was the fact that we had a robust and growing middle class as well as a tradition of public education that distilled the best writings, disciplines, and knowledge of the past into a transmitted inheritance for future generations. And the founding fathers of our cities not only established bedrock institutions such as universities, hospitals, libraries, and museums, they also founded symphony orchestras. For them, art and music were a vital dimension of the fully developed human being. To be wise and learned was the great goal of the common man. To be successful was to be cultured. Only in the last half-century did we decide to make a utilitarian beeline for success and cut out the hard-won holistic learnedness that temporarily delays access to material gains. The people we might call the quantifiers in the American arts sector are the people who are always looking to measure outcomes and impact. And unless we can justify ourselves by their measures, they assure us, we risk being branded “irrelevant” either by outsiders who prefer other music or by insiders whose work is driven by administrative mandate. The situation is utterly frustrating for the arts administrators who fight for their organizations’ survival simply for the sake of all the beauty they sow. What was most magical about the BSO’s impromptu concert this week was not that it was “free,” but that it was offered as a salve for frayed souls. While the circumstances and emotions surrounding it were extreme, I feel quite certain that the offering itself was not substantively different than what the orchestra offers on a weekly basis. How can we know what has happened within the minds and hearts of the millions of people who have listened to the BSO over our 100 years of concertizing? Where did their imaginations take them? What personal tragedies did Mahler help them immeasurably transcend? What new untapped inspiration did they discover in Berlioz? What have children dreamt up during their first experience of Pictures at an Exhibition? For many people I talk to, including those who continue to meet me on my front step while I write this, classical music is one of those most lovely things that make life worth living – ranking higher in meaning and fulfillment than even anything basic material goods can offer. Certainly, for those starving musicians in Leningrad and their audience on the brink of death, it mattered as much as bread. But when it becomes a game to prove our “relevance” through altruistic opportunism and grandstanding, we lose the very thing for which our supporters love us. We risk deserving the scorn reserved for shallow sentimentality. As our friend Roger Scruton reminds us, sentimentality cries two tears: one for the object of its pity and one for its own exquisite sensitivity. We will not move people with our sentimentality, but rather with our music – the music itself that has moved mankind through history’s tragedies as well as its triumphs. Music is a salve for the soul and when it’s great music, it points us towards transcendence. What people were rioting about in Baltimore was certainly more than a few bad cops. It was, if I can venture to characterize the hardships of other people’s lives, about a sense that some things in our society have gone completely wrong, off the rails, and are unconscionably unjust. The lives of the poorest of Baltimore’s children – even the ones who manage to stay in school – are indeed devoid of order, beauty, harmony, and truth. In our work at FSI, we are deeply concerned about the fact that our society has lost its way. What’s more we are raising a lost generation. And that is the much larger problem to which classical music, like classical education, is part of the solution. Questioning the relevance of our orchestras is like discarding the legend to our map of Western civilization and still expecting to find our way again. Orchestras share the plight of many of the struggling in America: we are searching for meaning. We think that our meaning pulled out of the station a long time ago and we have to catch another train. Perhaps what really happened is that we left our meaning at the station behind us. We are at a loss to understand ourselves without it, and yet we know in our bones what we don’t have the ability anymore to explain. Tonight in Baltimore there are celebrations in the very streets that were set ablaze several days ago, and at their center are our city’s marching bands. Andrew Balio has served as principal trumpet of the Baltimore Symphony Orchestra (BSO) since his invitation by Yuri Temirkanov in 2001, and recently served as principal of the Oslo Philharmonic during its 14/15 season. He is former principal of the Israel Philharmonic under Zubin Mehta and of the Orquesta Sinfonica del Estado de Mexico. Andrew’s interest in orchestral affairs and challenges began while he was a music student, renting a room from the Boston Symphony’s long-time chairman of the Players’ Committee and thereby gaining a unique and candid vantage point from which to consider the inner workings of a highly successful organization. In Baltimore, he served on various orchestral committees before formulating his first strategic plan for the organization called “Repositioning the BSO” in 2003, collaborating with Robin-Marie Williams, strategic planner for NASA and the Department of Defense. 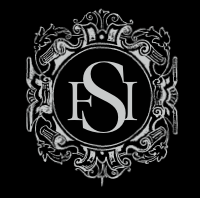 His many years of watching, studying, and seeking out the experts culminates with his founding of the Future Symphony Institute. More recently, Andrew has been called upon again to present a new value strategy for the Baltimore Symphony Orchestra and continues his ongoing efforts to fundamentally change the patron experience. Andrew remains active as a teacher, performer, committee member, and as an avid student of business, philosophy, and the challenges of our modern culture. This is a beautiful and very thoughtful reflection. Speaking for myself, my enjoyment of Classical music has gotten me through some painfully dark days. I suffer from a moderately severe case of Generalized Anxiety Disorder, and when it has its meat hooks in me most powerfully, it’s all I can do to summon the energy in order to turn on my radio to WCRB. It’s about the only thing that allows me to “transcend” my own inner anxieties and enjoy a few moments of relief. I don’t know this for sure, but it’s quite possible that Classical music has literally saved my life on more than a few occassions. I knew nothing about Classical music until I stumbled into Mr. Everhard’s class at West High. That experience was transformative for me. Here was a jock, raised with little knowledge of anything particularly cultural, and then I heard Mahler’s 5th Symphony for the very first time. Looking back on that experience, I’m pretty sure there were tears streaming down my cheeks. Ever since then, Classical music, art and especially the people who create these experiences, have been a hugely important part of my life. I am not a member of the class of people you mentioned in this piece who come from High Society, and for whom Classical music is a “backdrop” of their privileged (and yes, sometimes “twit” like existence). Nor am I a product of poverty and injustice. I am just a man who has discovered that Classical music is the salve that you describe in your reflection. I am blessed to have this; I did not plan on obtaining it. In a very real sense, “it just happened”. May God bless you. I hope that someday our paths will cross again. Weren’t we lucky to have had an education that included Shakespeare courses and performances, all the higher mathematics, band and orchestra, multiple languages, philosophy and more all within 8am-3pm school hours?After school was the recreation of sports and the various clubs and yet more music such as theater, jazz and high school musicals. Those things were often normal, even in tough neighborhoods across the nation. It was enough to make kids want to show up for their education.The lives of today’s children is so heartbreakingly dry. I’m glad this essay reminded you that beautiful music may be with us to show us a more enlightened state of mind. Beautifully written and timely piece, Andy. I am a firm believer in liberal values and adapting to changing conditions, but we should never abandon the values and qualities that have served humanity over the years. Symphony orchestras and the great music they play have been a source of cohesion an inspiration for centuries. The impromptu concert on Wednesday helped build community cohesion and it was an inspiration for the people who love here. It also sent a message throughout the country and worldwide that Baltimore can rise above the violence and embrace its values and its music. Going forward, Baltimore must engage in some serious soul-searching and address the underlying causes of the deep social, economic, and cultural divide. The BSO can, and should, be part of that process – not by abandoning its values and its music but rather by providing all of Baltimore with the very best music possible. We are advocating for a return to liberal learning in our K-12 , the bedrock of western society and accomplishment. Classical music makes sense within that context and it is because of our abandonment of those classical values that our music started to fall on deaf ears. Baltimore most certainly is suffering from a crisis of values and a shortage of excellence in all things. One can watch the Finale of Beethoven’s 9th with Wilhelm Furtwangler and the Berlin Philharmonic on YouTube. The occasion for that performance was A. Hitler’s birthday. The Officers of Wehrmacht and the SS, along with their wounded comrades, occupied the front row. Among them, in the first row, sat Dr. Goebbels, the Propaganda Minister and Gauleiter of Berlin. After the Ode to Joy was over, Dr. Goebbels warmly shook the hand of the conductor. Another propaganda victory for the cultural superiority of the new Germany. Contrast this to the premiere of D. Shostakovich’s 7th’ Symphony in Leningrad where, during the siege, over 900. 000 died of hunger alone, where truly starving musicians rehearsed and played for an equally hungry audience. You put Furtwangler and Shostakovich in one paragraph, giving both, at least in my view, moral equivalency. There is none. Thank you, Gregory, for your contribution to the discussion. Perhaps I should point out that the sentences and paragraphs in the piece are arranged, as is customary, by subject and not by moral hierarchy. The subject in this case is the perennial power of music in the face of human tragedy and conflict, and decidedly not the morality or political affiliation of composers and conductors or even the people who might have attended their concerts. In fact, the purpose of the piece is to remind us that music transcends our differences. And here is a lovely article from CNN about how Hindustani and Nepali classical music has been a part of the earthquake relief effort in Nepal.